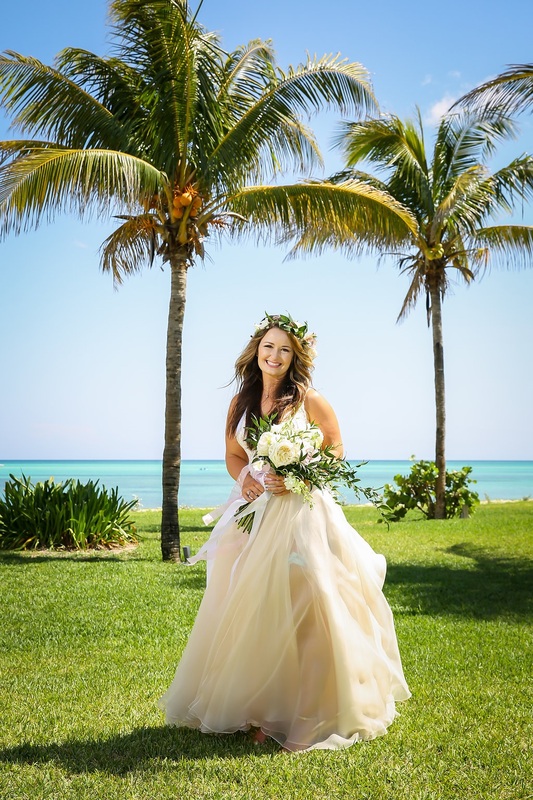 Samantha and Michael's Freeport Bahamas Wedding - Contact us today! 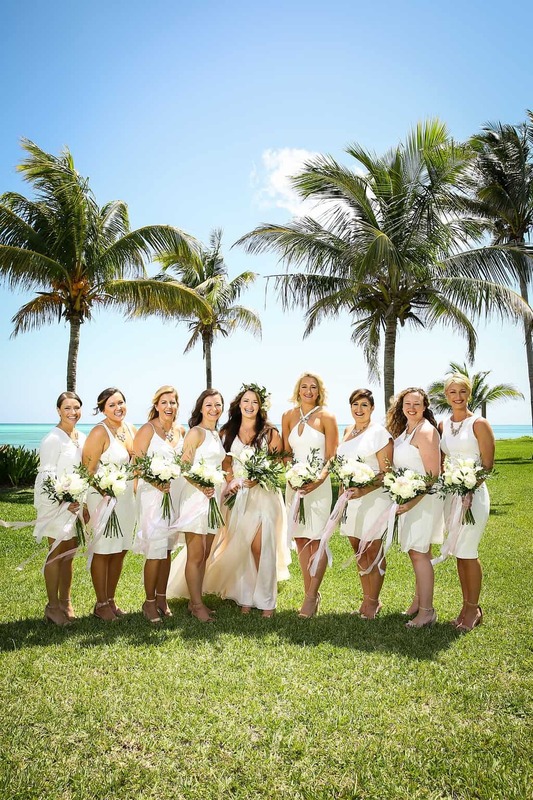 Dolphins were the guests of honour at Samantha and Michael’s Freeport Bahamas wedding. The bride adores dolphins. Dolphins were a must for her special day! The bride’s parents’ second home is located in Freeport. 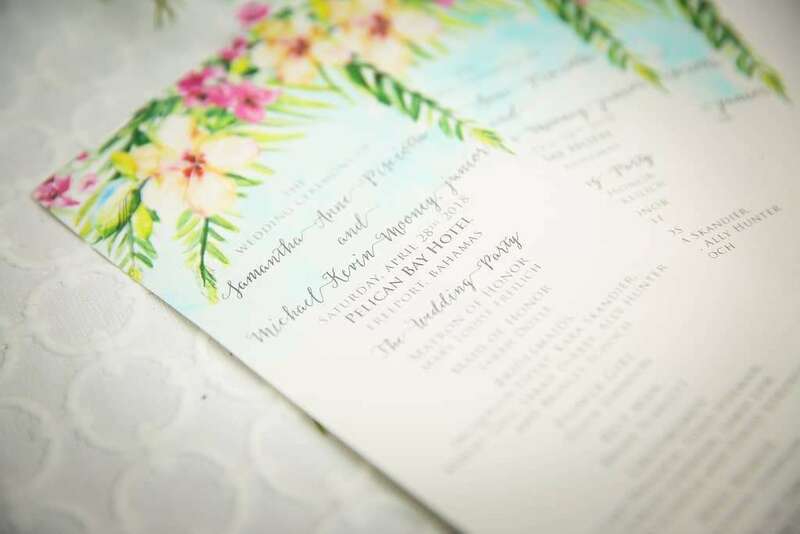 It was natural that the Boston, Massachusetts couple chose Freeport for their special day. Nearly 100 guests travelled to the island to share in this very special day. Festivities began Thursday with a welcome outing at the popular low tide spot Banana Bay Beach Restaurant. Friday evening took guests to Port Lucaya Marketplace for drinks, eats and fun. The wedding day arrived. On Saturday, April 28, 2018, the bride and her maids shared more fun over breakfast and dressed at Samantha’s parents’ beachfront home. Late-afternoon, guests gathered bayside at Pelican Bay Hotel. Samantha and Michael tied the knot in a lovely ceremony conducted by a friend. Cousin, Fr. 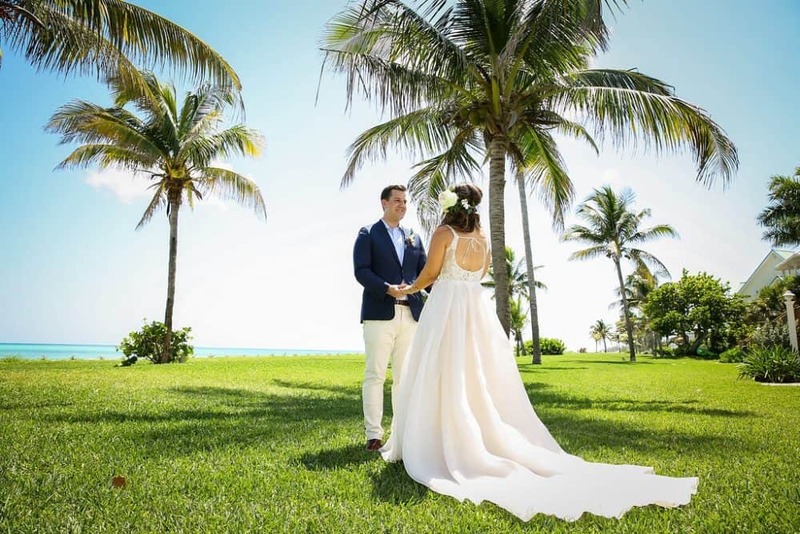 Valeria of Italy, was also present to officiate at the Freeport Bahamas wedding ceremony. Cocktail Hour followed. Guests were in for a surprise. Lo and behold, the Underwater Explorer’s Society Dolphin boat arrived. 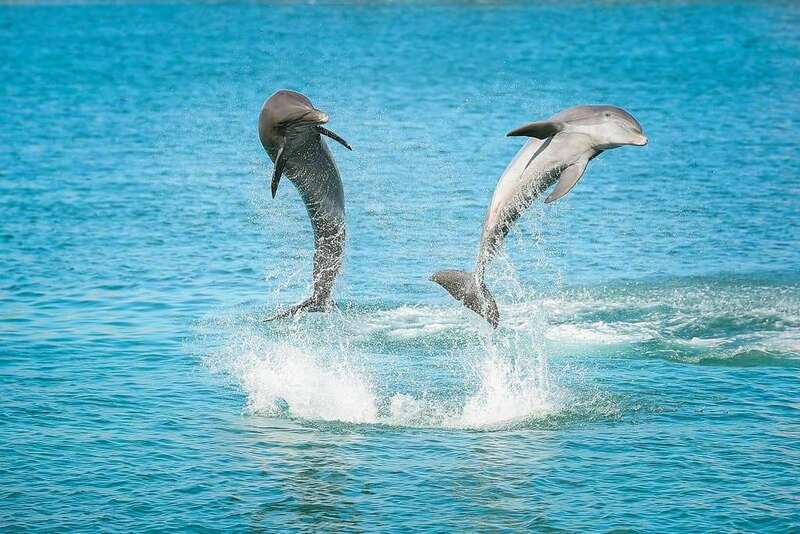 In tow were dolphins, Bimini and Stripe, who would delight guests. The pair performed flips, tail walks, aerial twists, waves, the hula dance and kissed. Gasps of thrill filled the air. Family and friends enjoyed this most wonderful surprise! Strains of the steel pans by Tru Melody played in the background. Dinner and dancing at Freeport Bahamas wedding venue Pelican Bay was up next. A three-course gourmet dinner was served as Uppercut 242 Band entertained. An Ana Paz cake was scrumptious. DJ Steelie then rocked the crowd well into the evening. The happy couple and guests bid farewells at a morning after brunch at Taino by The Sea Restaurant. 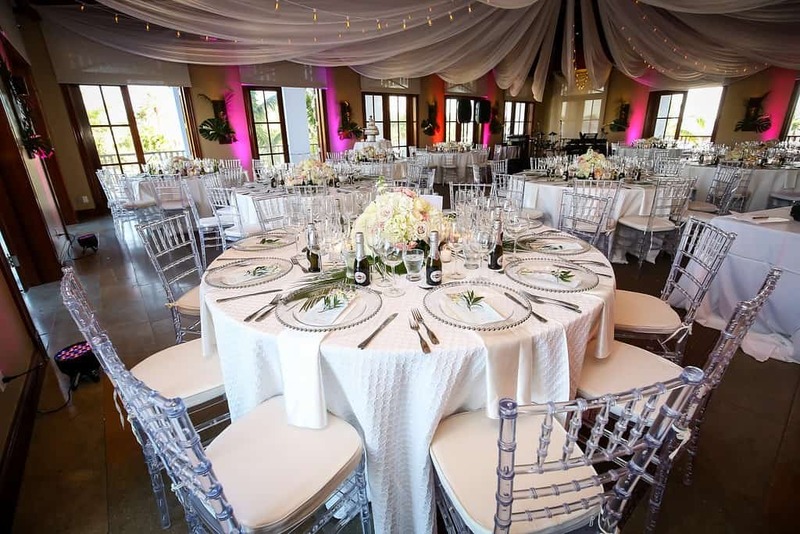 Chic Bahamas Weddings delights in meeting our couples unique needs and surprises. 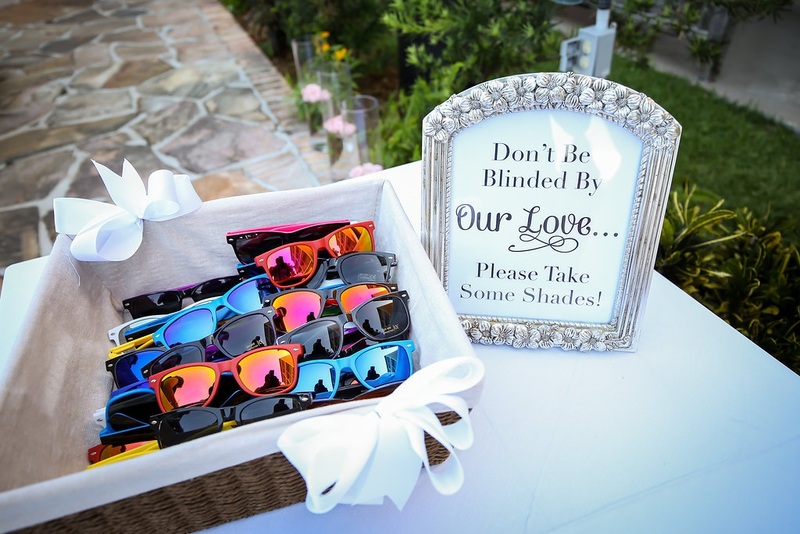 And, we work with you to bring your vision to reality on any island in The Bahamas … Exuma, Eleuthera, Nassau and more. 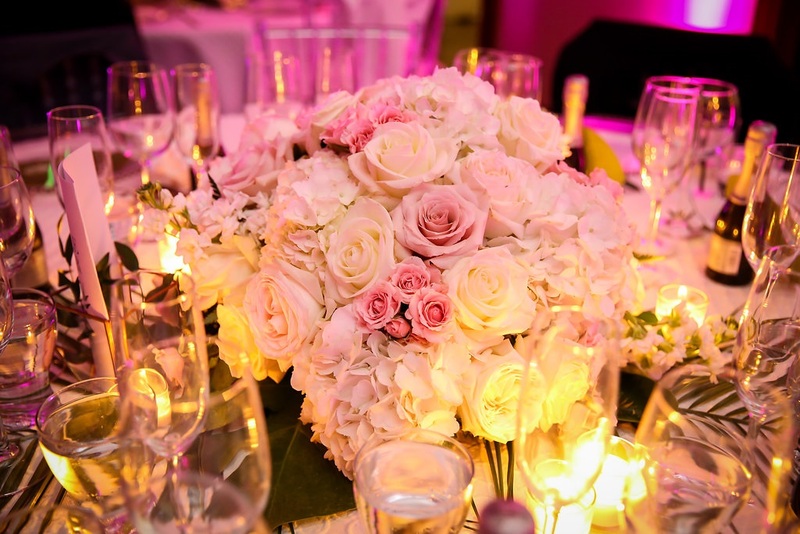 Contact us today to start planning your magical day!